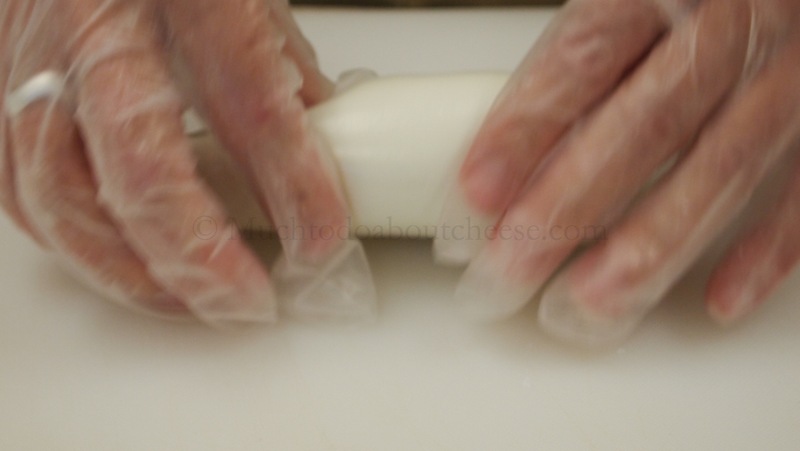 On Saturday May 24, I instructed my second last cheese making class for the spring session for Metro Continuing Education, this time I was able to get some pictures of the cheese that the students made. 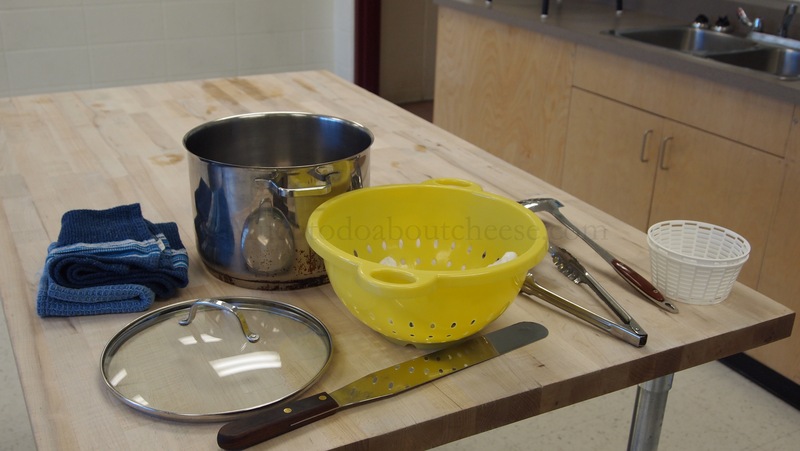 All the ingredients we need for the class, that and the milk. 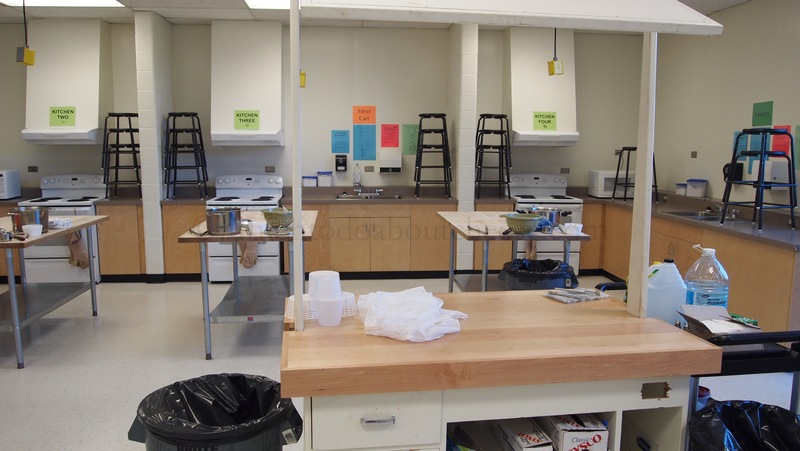 There are two stations to the right of the lab. 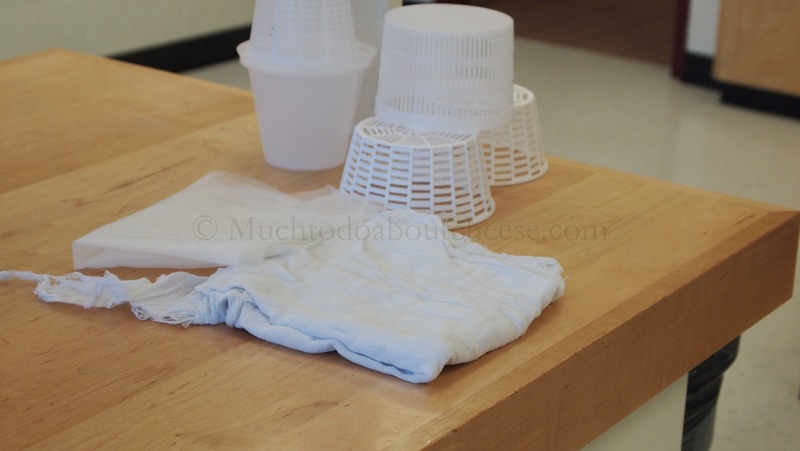 I also set up a display of some commercial moulds and some examples of cheesecloth, on the instructor’s table. 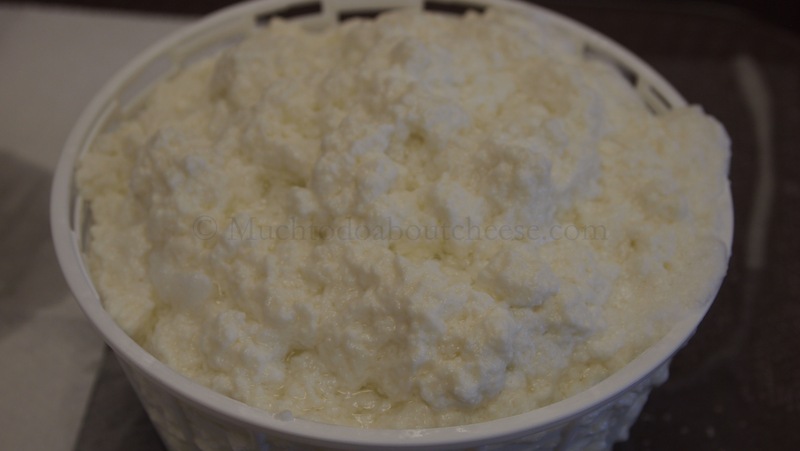 The first cheese we make is a Whole Milk Ricotta using lemon juice for the acid. 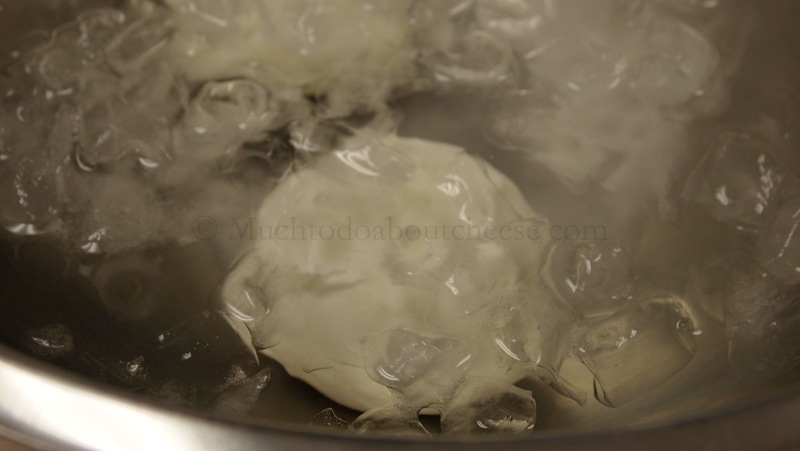 Here is the nice fluffy curd just before one of the class started to scoop. 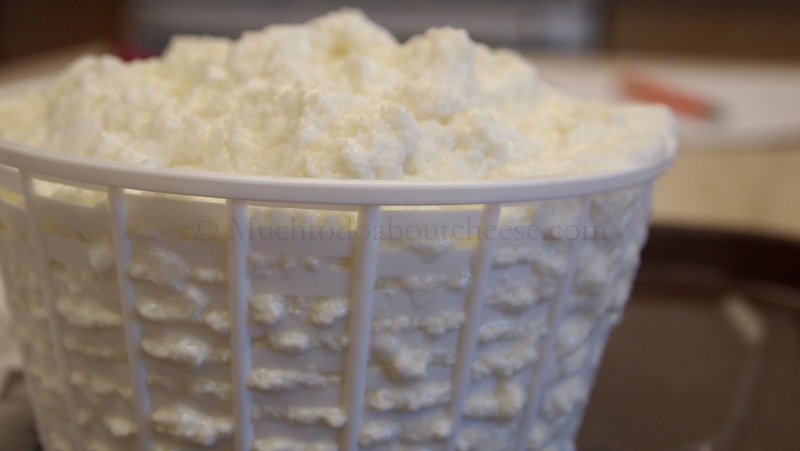 This is the first time I supplied ricotta baskets and seemed to do the trick. 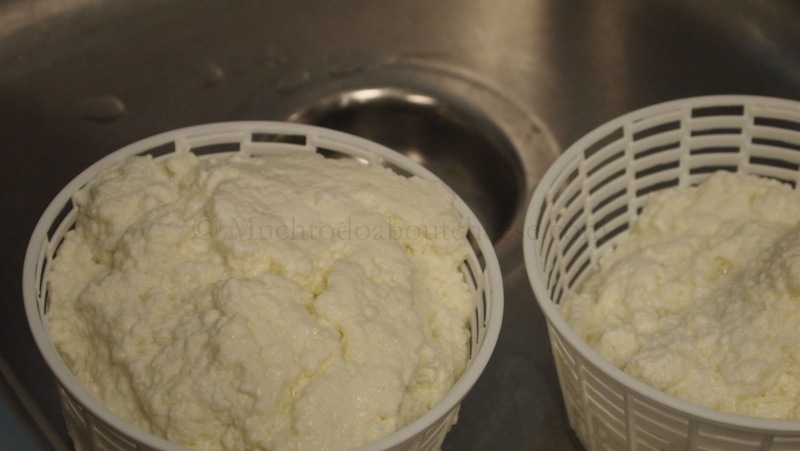 Lots of fluffy white ricotta for everyone. Honestly I was surprised by the yield from store-bought milk. 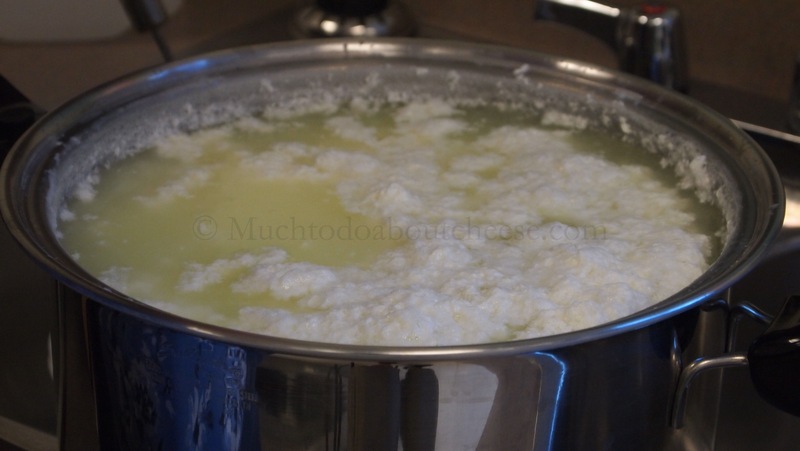 Next I demonstrated how to make a Queso Fresco, I also had some on hand for the class to sample so that they know what it will taste like in the end. I did not get any pictures, but I have described how to make it here. 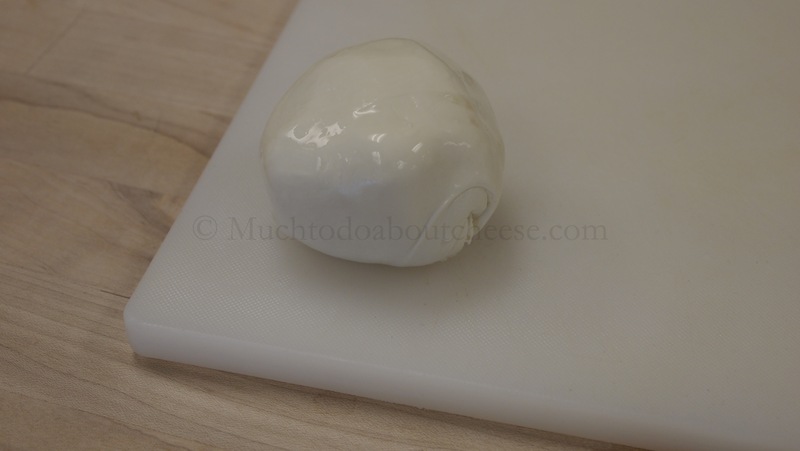 Lastly it was time for Mozzarella. 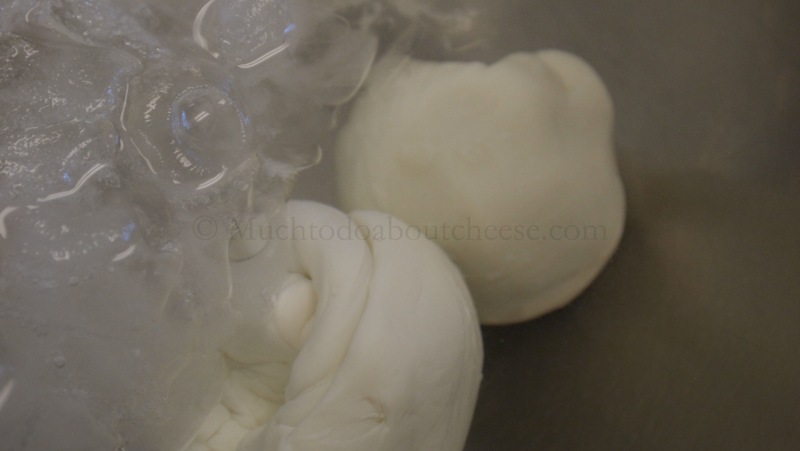 For the purpose of the class there is only time to show how to make a “Quick” Mozzarella using citric acid. 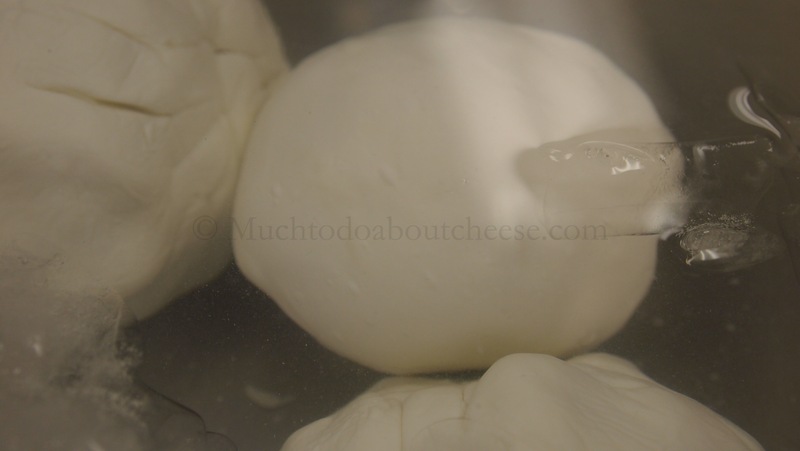 Traditional Mozzarella would have taken too long. 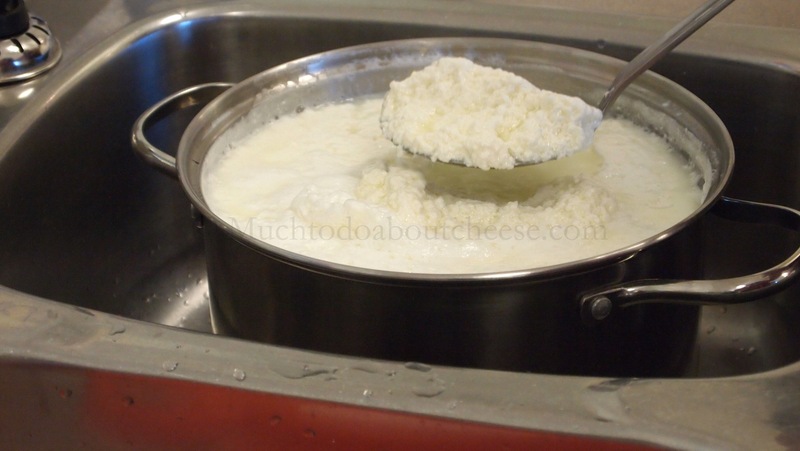 I do not have pictures of the beginning stages, but I do have some of the great cheese that the class made. It was great to see the look of satisfaction on the person’s face when they made this. 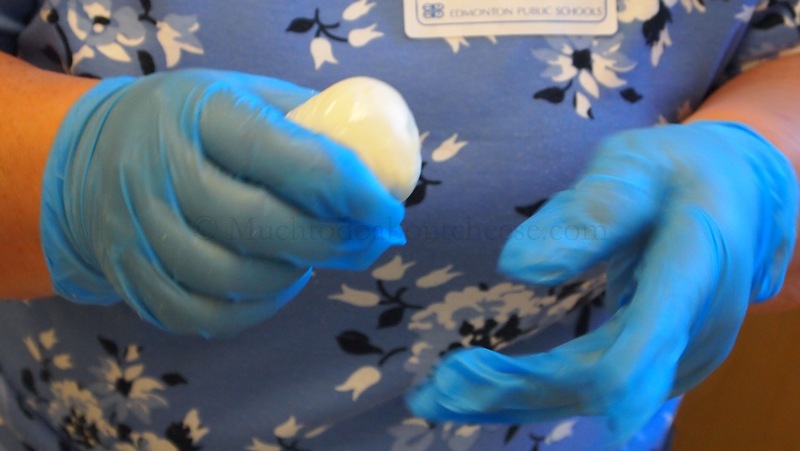 This student was starting to work some salt into the cheese. 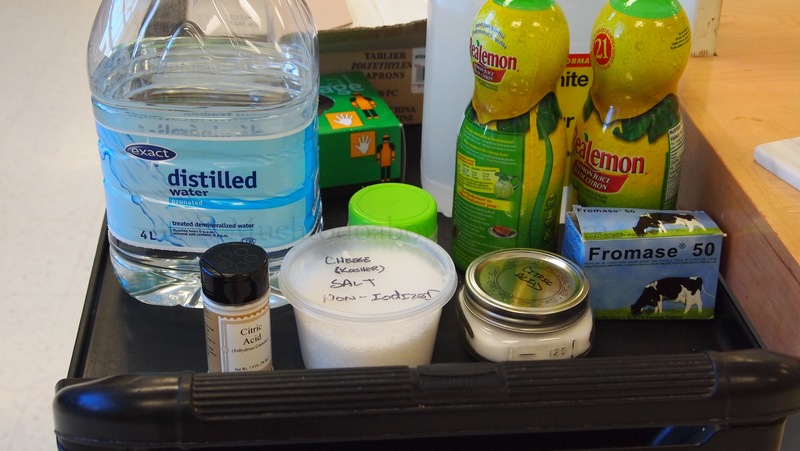 Ice bath soak at one group’s table. Everyone picked up on the the techniques fast. 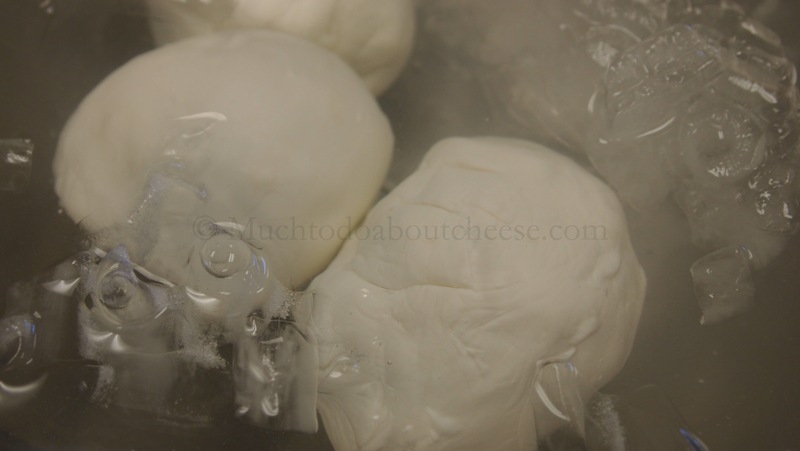 Everyone had a mozzarella that they made to take home with them. I was very proud of everyone in the class. They seemed to have a great time and they absorbed all that I could teach them. In the end I welcomed 11 new members to the ranks of home cheese makers. 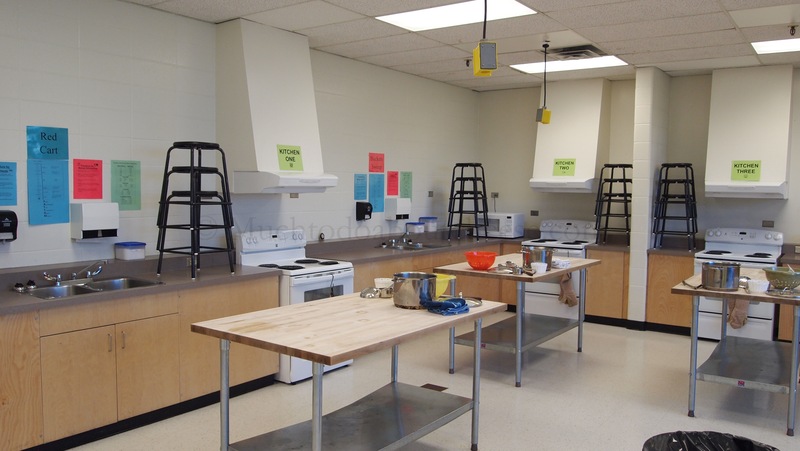 I have another class next week in Edmonton and then I will be off to Grande Prairie to teach a class for Grande Prairie Regional College. Have Curd Knife! Will Travel! 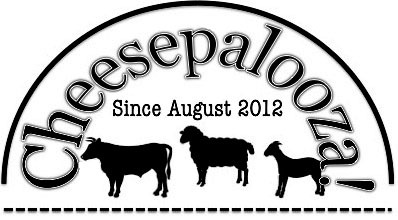 ← 3.5 Months Under Wraps – Clothbound Cheddar Update!